Hey guys!!! 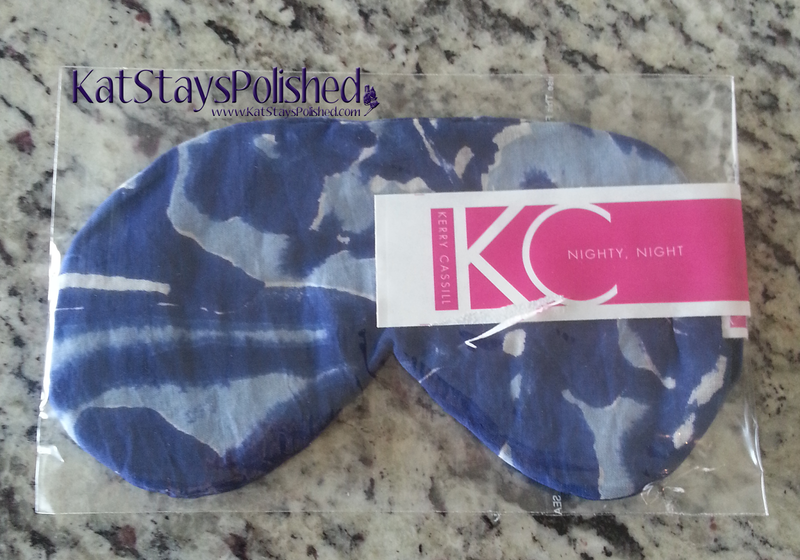 Today I have the May Edition of the POPSUGAR Must Have box. Yes, it's late...sorry. I didn't get it until the very end of the month but at least it's here! I sorta knew what was coming in this box so I was all revved up for it! Here is a snapshot of the contents! 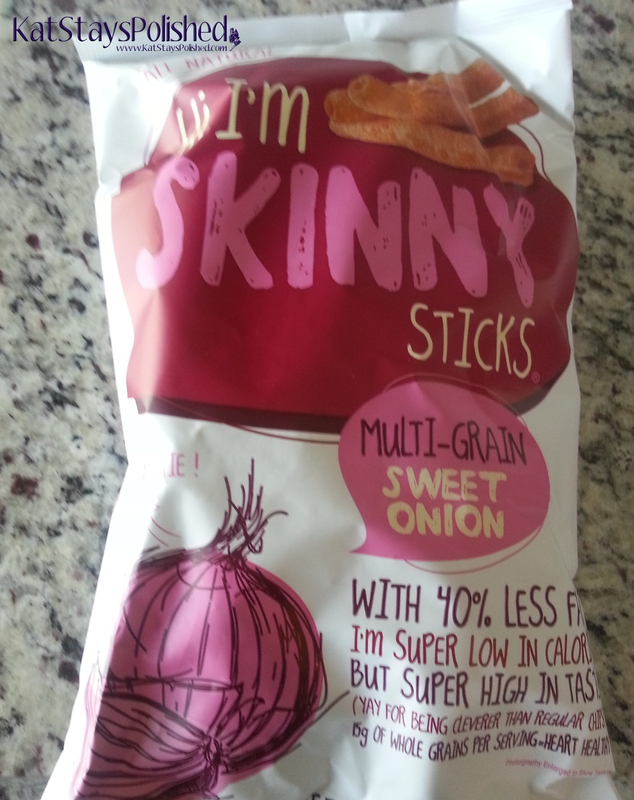 First up are the Hi I'm Skinny Multi-Grain Sweet Onion Sticks. What a mouthful to say, huh? These are a healthy alternative to that afternoon chip snacking you've been doing. Staying on the healthy train, how about a workout DVD? The Tone It Up DVD is the perfect quick workout for those busy days after work. Get ready for some AWESOME selling stuff. 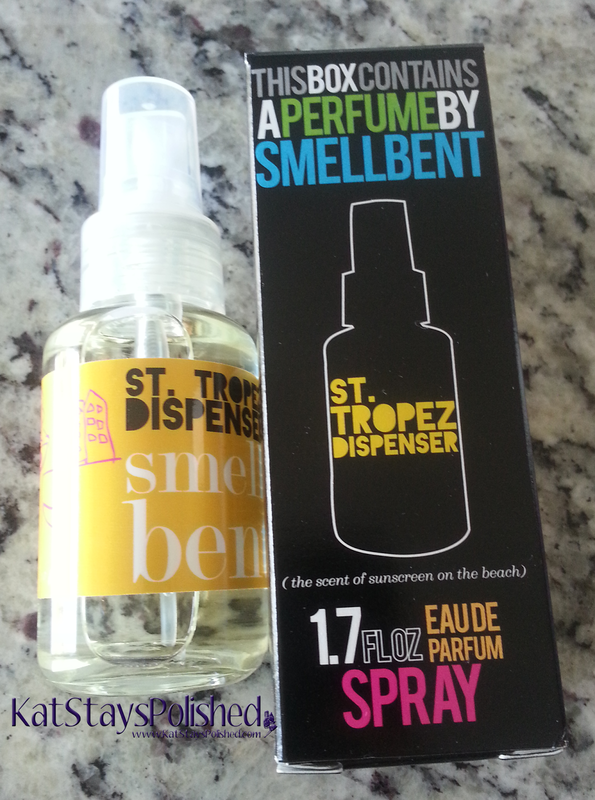 This Smell Bent St. Tropez Dispenser smells just like the beach. A little goes a long way with this. It's potent but it'll last all day long! Lastly, probably my favorite item in the box - Obsessive Compulsive Cosmetics Pool Boy Nail Lacquer. It reaches 100% opacity in just 2 coats. I am obsessed with blue like this and this will quickly become one of my favorites for the summer. Interested in a subscription box like this? It has such a variety of items for every part of your life. Here are the subscription options you can choose from. Thanks for stopping by to see this box! Stay tuned for the June PSMH box! *This box was provided to me for an honest review. All opnions are 100% my own. What a great box! Love that nail polish color!